Welcome to Wopular's coverage of Bishops, Penance For Abuse. Wopular aggregates news headlines from the top newspapers and news sources. To the right are articles about Bishops, Penance For Abuse that have been featured on main sections of the site. Below are topics about Bishops, Penance For Abuse. (Click on "all" to view all articles related to the topic, including articles NOT about Bishops, Penance For Abuse. Click here to search news sites, aggregators, and blogs as well as videos, photos, and websites about Bishops, Penance For Abuse. 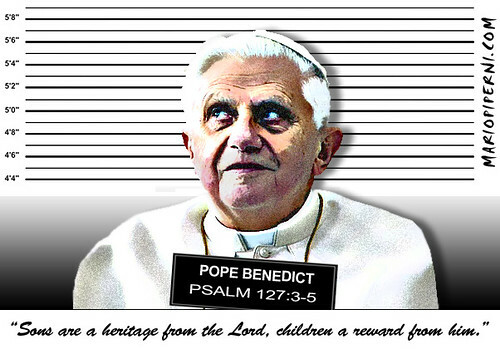 Pope Benedict said the sexual abuse scandal shaking Roman Catholicism showed the Church needed to do penance for its sins, in a rare public reference by the pope to pedophilia in the priesthood.